No tie. No lectern. No problem. A new breed of talkers are transforming the traditional coat and tie presentation style into a relaxed yet persuasive tell-it-like-it-is conversation on the red carpet. You have the opportunity to watch a dozen of these innovative speakers, including Mun Jen Ng - a semifinalist in the 2013 Toastmasters International speech contest - that will inspire thought leadership and visionary insights in brief 10 minutes-or-less talks at the third annual TEDxYouth Conference to take place on Saturday, Oct. 19, from 4:30pm to 8:30pm at Orange Coast College in the Robert B Moore Theater. Use the promotion code of "Toastmasters" and save 20% off on single ticket prices. TED Talks are short engaging presentations that initially revolved around Technology, Entertainment, and Design (TED), and now incorporate a multitude of subjects. The TEDxYouth@BommerCanyon event has a mixture of adult and youth presenters and is geared toward kids ages 12-18 and their parents. "The youth presenters are expected to 'game up' to the level of sophistication that adults appreciate in their big brother counterpart: TED" says event organizer Nikkisa Abdollahi. All TEDx presenters were coached by experienced Toastmasters and are thriving in the new open TED presentation style on the red dot carpet. 1. Mun Jen Ng, a successful Lake Forest artist, product designer and illustrator who has designed for Oakley, DKNY and Micheal Kors, will share how you can remained true to your heart and be richly validated. 2. Vamsi Mokkapati, Mission Viejo high school senior, will teach you how to learn a universal language in 6 minutes flat. 3. Anika Larsen, Laguna Beach high school senior, deleted her Facebook account (OMG!) and lived to tell about it and will share how she found a balance between life as a teen and social media. 4. Gabe Eggerling, at age nine, saw the need for impoverished kids to have access to books and started a library in Peru from the comfort of his home in Huntington Beach. 5. Jeet Banjeree, self-proclaimed 19-year-old "serial" entrepreneur, has built more than 50 digital products including mobile apps, websites, eBooks and more in just 3 short years. He will share his insights on doubt, success and the gaps in between. 6. Jason Carbone was the Co-Executive Producer and Director of ABC's pop culture powerhouse The Bachelorette for three years, and several other successful reality TV shows, and will reveal the gaps between reality and reality TV. 7. Staphany Hou, University high school senior (Irvine), will defend the virtues of well roundedness and disprove Malcolm Gladwell's 10,000-hour rule in his bestseller Outliers. 8. M.C.Kenzy and DTomp are 17 year old recording artists specializing in Hip Hop, Rap, Dub Step and EDM (Electric Dance Music) and will showcase their new single "Mind the Gap," created for TEDxYouth@BommerCanyon. 9. Jeff Leksmana, a software developer for Paramount Pictures, Warner Brothers and Sony, will provide proof of the powerful chain reaction between ideas and awareness. 10. Aliso Viejo resident Dr. Kaveh Azartash will reveal a revolutionary foreign language app – to be launched 11/17/2013 – that assists children to break the accent barrier. 11. Jake Ducey is one of the youngest published inspirational authors at twenty-two-years-old, and will share his passion to inspire youth to change the world by finding their true north. 12. Vern Breitenbucher will share his 30-year love of photography today's teens and tweens can leverage digital photography while using unconventional methods. Complete speakers' profiles are listed at http://www.ted.com/tedx/events/8750. Nikkisa Abdollahi founded TEDxYouth@BommerCanyon in 2011 as a youth organization run by a Youth Council, with adult support and mentorship, designed to share "Ideas worth Spreading." 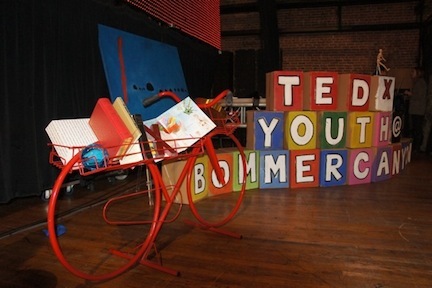 Under the framework of TED, which stands for "technology, entertainment, and design," The Youth Council, composed of possibilitarians – agents of change, future leaders, innovators, and entrepreneurs – are committed to sharing diverse and convergent ideas through inspiring talks to explore, to network and to build a stronger community. TED is the world-renown acronym for "technology, entertainment and design" and is the name of the nonprofit committed to ideas worth spreading. 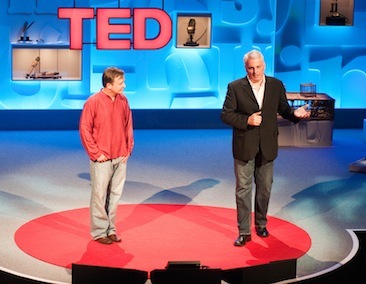 The organization holds two major conferences and posts its popular TED talks on the web. TEDx was created in the spirit of TED's mission, "ideas worth spreading." The program is designed to give communities, organizations and individuals the opportunity to stimulate dialogue through TED-like experiences at the local level. At TEDx events, a screening of TED Talks videos—or a combination of live presenters and TED Talks videos—sparks deep conversation and connections. TEDx events are fully planned and coordinated independently, on a community-by-community basis. The most important matter coming out of the annual convention of Toastmasters International at San Diego in 1934, was the decision to provide better supervision of the forty clubs through the formation of Districts. All of the clubs in California and Arizona were to be assigned to District One, and those in Washington and Oregon, to District Two. The rapid growth of the movement created districts three, four, and five out of the District One. At an eastern division council meeting of District One on February 19, 1944, Graham J. Albright, Lt. Governor, appointed a committee to study the advisability of again dividing District One. At a meeting of the International Board of Directors, James Barnet, Governor of District One, moved the approval of a request for final division. The motion carried. LACE occurs four times each year - twice in June and twice in January. But if you did not attend LACE THIS January, you missed an opportunity of a lifetime! Our District theme this year is "Elevate Your Potential". I am thrilled to see the many ways our members have stepped out of their comfort zone and up to participate in Toastmaster activities around the District. We are three months into the Toastmasters year and our first BIG event is now just three weeks away - the Fall Conference and Evaluation and Humorous Speech contests. 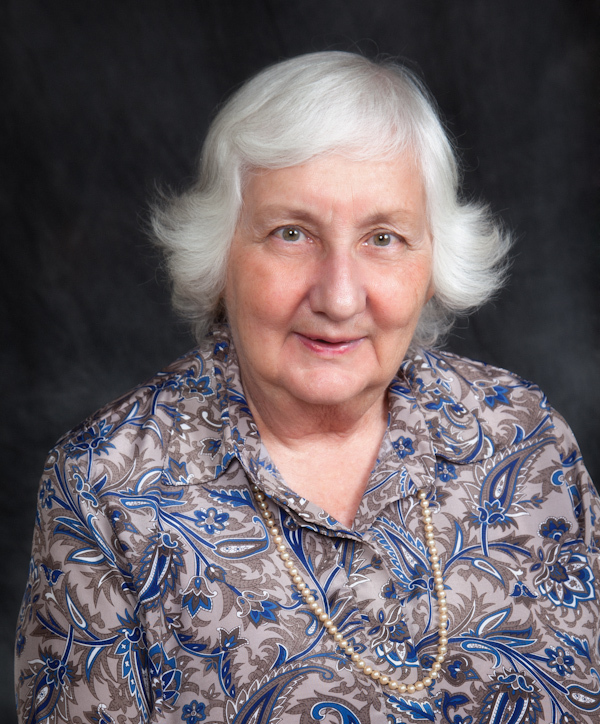 Are you coming to see Patricia Fripp, past president of the National Speakers Association (NSA)? Are you coming to see your club member(s) participate in one of the contests? Are you coming to be recognized during the Hall of Fame Luncheon because you received an educational award? Are you coming to hang out with some of your Toastmasters friends, past, present, or future Are you coming for the food? Okay, maybe not, but we are hoping you are coming to the Founder's District Fall Conference. When and where, you ask? Friday evening and Saturday, November 7 and 8, at the La Mirada Holiday Inn, at I-5 and Valley View. Check the Conference Page for a schedule of events and times. Register now - Come to the Founder's District Fall Conference and speech contests and "Elevate Your Potential"! I'll see you there. 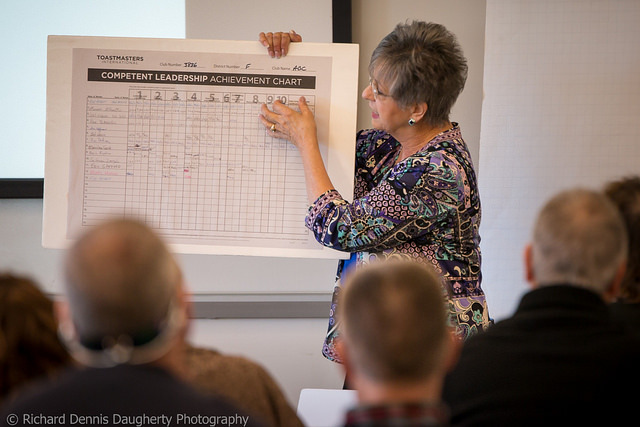 The 2013 Founder's District Leadership and Communication Expo is just around the corner with interactive workshops featuring 30 hours of leadership and communication training, all for only $12 (and that includes lunch). This regionally well-known and admired curriculum is unique to our District in scope, value, and quality. L.A.C.E. is for everyone who wants to benefit from an affordable luxury-level training! With two locations to serve you, attend one or attend both to get the full benefits of L.A.C.E.. Beat the long lines at registration this year and pre-pay on-line. Print out your ticket and go directly to your first workshop. It's that easy. Check out the featured workshops and make your schedule to attend your favorites. Then go to the registration and sign-up today! Cerritos, CA, April 23, 2013 — Munjen Ng, of Lake Forest, CA, rose above more than 200 local participants to win the District level of the Toastmasters International Speech Contest, representing L.A. and Orange Counties. Ng has qualified to advance to the semifinal rounds of the Toastmasters World Championship of Public Speaking, which will be held in Cincinnati, Ohio on Thursday, Aug. 21. Ng, a member of Possibilities Unlimited, in Mission Viejo, CA, surpassed fierce competition to win the hearts of the audience and judges alike with his speech, 'Undeniable'. The speech is about seeking his father’s acceptance for becoming an artist instead of a doctor or lawyer as traditionally expected in the Chinese culture. Ng blended humor and emotion into his story of becoming an artist against his father’s wishes. Do you want to supercharge your club and attract flocks of new members to your club? Are you interested in building new clubs? Come join us at the Founder’s District Fall Marketing Workshop on Saturday, July 27, 2013. Learn valuable tips and proven techniques for club growth, membership retention and building new clubs from some of the top leaders in Toastmasters. Limited seats available. Register early. Founder’s District is seeking nominations for the positions of District Governor, Lt. Governor Education and Training, Lt. Governor of Marketing, and Division Governors. These positions will be filled by election at the Spring Conference on April 20, 2013. If you are considering a leadership position in Founder's District, now or anytime in the future, the Leadership Gathering this Saturday is the perfect place to network with other leaders and ask questions to help guide you in the right direction. Take advantage of the great opportunity now. Founder's District has asked some of our most dynamic leaders to share their Toastmasters' journeys at our 2013 Leadership Gathering, on Saturday, February 16th. You will be able to hear first-hand experiences in leadership development, gain insight into the leadership opportunities within Founder's District and enjoy some mid-afternoon snacks. This invitation is limited to Club Officers and current Area Governors. This is also a great opportunity for club members, who might be interested in becoming a Club Officer, to learn a little bit more about being an officer and the benefits. Please invite those members who you think would benefit from this great opportunity. Join us and find out how we can help you to shine! 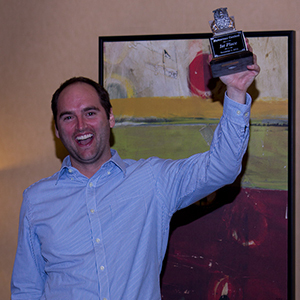 Congratulations to Daniel Midson-Short of Coastmasters Toastmasters Club #6658 , winning first place in the District Humorous Speech Contest on November 3rd, 2012. As an Aussie living in America, Daniel dispelled the myths and stereotypical beliefs that Americas have about Austrailians. The second place trophie went to Charlie Cheatham of Table Talkers Club #1246 in Buena Park. Charlie humorously compared himself to Marcus Dupree, the star who never was. Third place went to Aneeza Haleem from Lake Avenue Toastmasters Club #8360 in Pasadena. Other competitors included George Day, Jennifer Jenkins, Kelly Hudson, Ricardo Munoz, and Angela Stout. See interviews with our winners and other highlights of the contest in our latest edition of Founder's District TV . At the annual volunteer recognition event sponsored by the Orange County Chapter of the American Red Cross, the Shepherd of the Hills United Methodist Church received two awards: the county chapter Platinum award and the Southern California region GIVE award. Both of these awards were presented to the coordinator of the blood drives for exceeding the previous drive results by 176%. In accepting the awards on behalf of all the blood drive volunteers at both the Mission Viejo church campus and the Santa Margarita church campus, Avis French,Toastmaster CTM/CL and Co-Chair of the Founders District Judges Bureau and blood drive co-coordinator, explained that the drives could not have been successful without the assistance of all the donors, the volunteers, and the organizations that partner with Shepherd of the Hills.